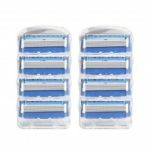 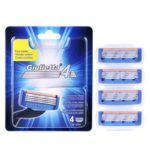 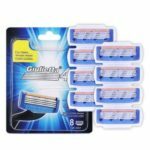 Replace your used razor blade with these 4-blade razor blade refills, which allowing for a shave with less pressure to the skin, thus reducing skin irritation. 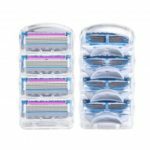 Shave comfortably and effortlessly and enjoy complete shaving experience that you never imagine before! 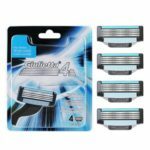 4-layer precise blades helping reduce pressure per blade for a comfortable shave.